Free download Cadillacs and Dinosaurs game for PC. Download Cadillacs and Dinosaurs game from high speed direct download link. 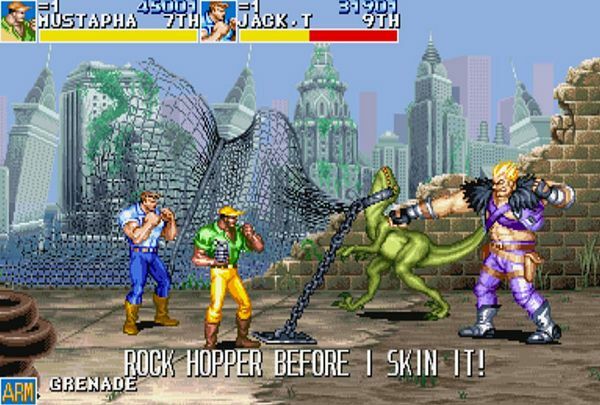 Cadillacs and Dinosaurs free download. After downloading the zip file, extract and run the EXE file. Press 5 to insert coin for player 1, 6 to insert coin for player 2 and 7 to insert coin for player 3. You can manually set all button by press Tab button from keyboard and selecting Input (this game). Set your own setting and enjoy the game. Use 5 button to insert coin and 1 to start. ctrl and alt key to play. You can change the game controll buttons by pressing tab and then select Input this game option. What are the keys to use on keyboard to play this game on PC?